There’s no denying it - Sausage Sports Club is a very silly game. And it knows it, too. There’s no grand operatic story or a deep levelling system with myriad RPG mechanics. This is a party game, plain and simple. A party game where lots of animals with impossibly long necks attempt to bash, dash and stomp their way to minigame glory. Did we mention it’s also very silly? This is a title aimed squarely at the family couch play crowd. The cute combination of thick-necked animals speaking in Banjo-Kazooie-style gobbledegook and the ability to adorn them with all manner of hats will have the younger Switch players among you hooked, while the comically violent nature of some of the minigames (using your neck like a baseball bat and knocking a fellow player into a sea of spikes, for instance) means the elders will likely crack a smile or two as well. The game itself is split into Adventure mode, Free Play and Quick Play. The latter simply grants access to the game’s core game types - including Coinz (bash other players into those aforementioned spikes to steal their money), Paint Ball (knock a giant football around an arena to paint it in your team colours, Splatoon 2-style), Sumo (knock players out of the arena), Soccer (well, you probably know how that one works) and Capture the Flag (where you - wait for it - capture flags). If you’re looking for a quick local multiplayer romp this is the way to go, but if you’re after a little more of a complete experience, Adventure mode is the one to plump for. 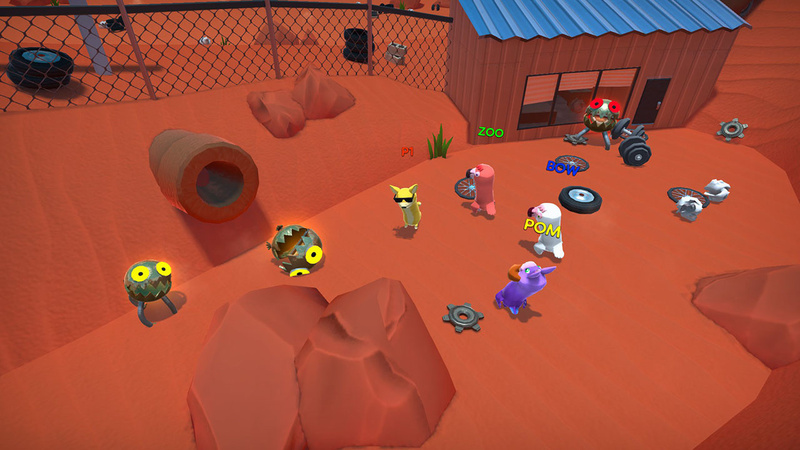 You and a team of fellow players (you can play with up to seven other players in Quick Play, and with up to three in Adventure mode, or use an AI-controlled group of varying sizes) and explore a cute little world where you’ll play through those aforementioned minigames with a few silly character interactions along the way. Completing matches will level up a basic XP bar, which is just there to unlock new stadiums and character variants. 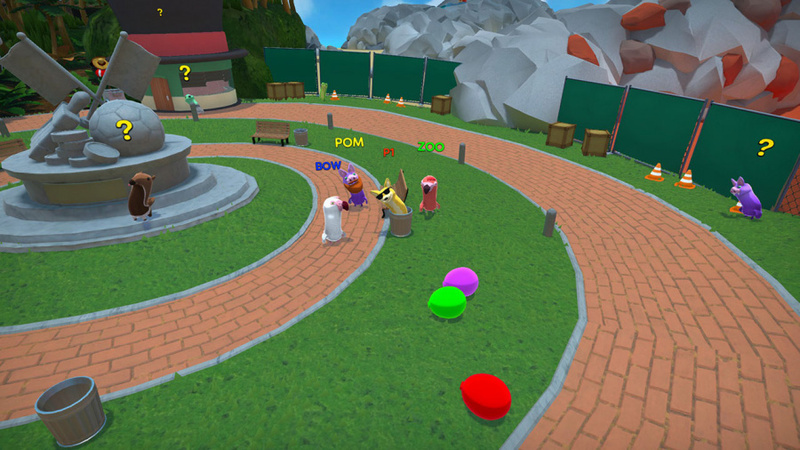 Completing the Adventure mode will also net you coins, which can be taken to the Hat Shop to spend on… hats! Much like Rocket League, there’s a bizarre moreish-ness to decking out your favourite critter (we’re big fans of friendly shark candidate, Jaws) in a new accessory - plus, these coins are easy to earn through in-game challenges so you’ll always have reason to wiggle back to the game’s main hub and pop said coinage into the bubble gum-style dispensers in the Hat Shop. There’s also a Gym next door, but it doesn’t really offer much apart from housing the opening tutorial. 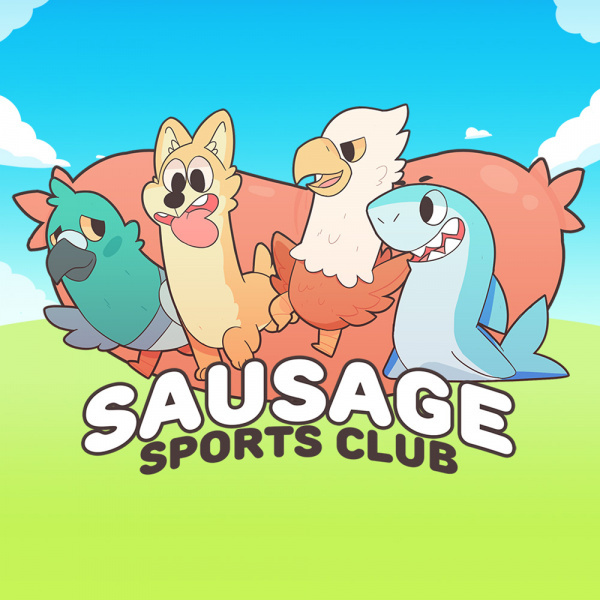 You’ll get to explore various locations throughout the island setting of Sausage Sports Club, helping solve procedurally-generated quests for its animal inhabitants. You’ll take part in the madcap modes mentioned earlier, with the result of each one slightly affecting how the story plays out. Again, it’s not very deep, but it’s great to see the game’s many party-driven features rolled into a package that shows them off nicely for later Quick Play revisits. You can enjoy this little indie gem in handheld mode or in tabletop mode, but it can often veer into unplayable territory in these versions. Not because of any technical or performance issues - in fact, it’s a very smooth and pleasant experience overall - but because trying to keep track of a small animal creature on Switch’s screen is nigh-on impossible. 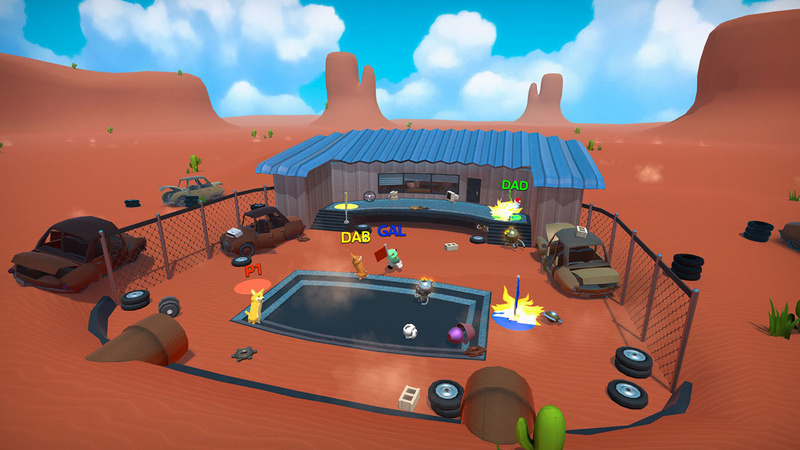 Sausage Sports Club’s chaotic minigames are very much designed to be played on your TV, your friends and family gathered around the box in true couch play fashion. While far from a deep experience, Sausage Sports Club is hardly trying to be anything other than a family-friendly (and really quite bizarre) party game which is fantastic fun in short bursts. While it does support solo play, it’s simply nowhere near as fun or rewarding as cramming around your TV with Joy-Con in-hand, whacking your fellow players with a well-timed swing of your neck. Until Super Mario Party arrives, this is a fine alternative to keep those parties really wild. The option for a one player Adventure Mode had me intrigued but sounds like even that's not really enough to justify getting this without playing with friends a majority of the time. Oh well. @SmaggTheSmug Glad I was not the only one. Sure the writer had to hold a lot of innuendos back. Time to re-write my eshop purchase plan yet again on this fabulous payday. My kids and I will have a blast with this, no doubt. Octodad is our favorite game to play as a family, and this looks almost like a multiplayer spinoff of that game's wackiness.